Caption slip reads: "Daily. Photographer: Richardson. Date: 1951-09-28. Reporter: Swaim. Assignment: Postmaster. 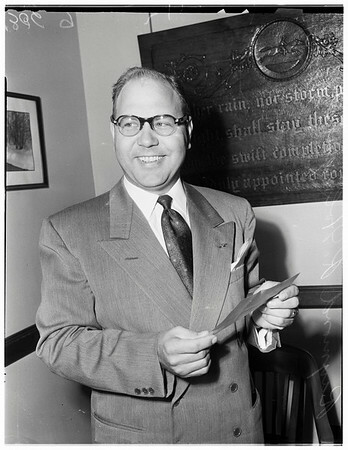 K5, 6: Raymond R. Holmquist, 37, reading telegram notifying him of confirmation by Senate as new Postmaster of Pasadena".